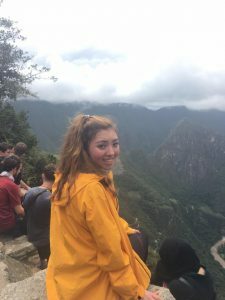 Fourth year neuroscience major Stephanie Wentzel has traveled the globe with the aim of spreading compassion and helping others. Her impact close to home, here at Ohio State, is as important to her as her impact abroad. 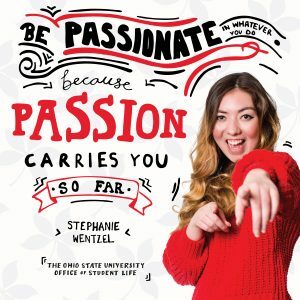 Stephanie: Neuroscience with a minor in leadership studies. I’m planning on going into medicine and figuring out how to apply leadership in that realm. I want to empower other people through my work. For my capstone project, I’m planning an art showcase for Asian-American students on campus to open the conversation about mental health and how we can improve it in the future. Tell me about what you are involved in on campus and in the community. I am co-president for Pan-Asian Mental Wellness Association (PMWA) which is an organization I helped start two years ago. We address the stigma around mental health, particularly in the Asian community. Our goals are to educate, promote dialogue and provide advocacy around these issues. I’m also president for Ladies of Leadership, a mentorship program for women of color where we discuss scholarship, leadership, wellness and empowerment. The program helps women find their place and pave their way here at Ohio State. First is compassion. This is what drives my dedication and commitment at Ohio State. It’s so important to connect with people. I understand discrimination and loneliness, so I hope to build an inclusive community here. With that is dedication. I help run two student organizations and that wouldn’t be possible with my drive and passion. Lastly, I would say kindness. This is often the word people use to describe me, and I’m incredibly proud of that. I strive to be approachable and welcoming to others. You mentioned in your bio that you’re a “people person.” How has this fit into what you’re doing at Ohio State? I hope to make the organizations I’m part of feel like a home. As a freshman, I was happy but lost and looking for a connection. I focus on bringing warmth into my communities and making people feel invited. I want to personalize everything and make the strongest connections by catering to people and proving to them that they’re special. 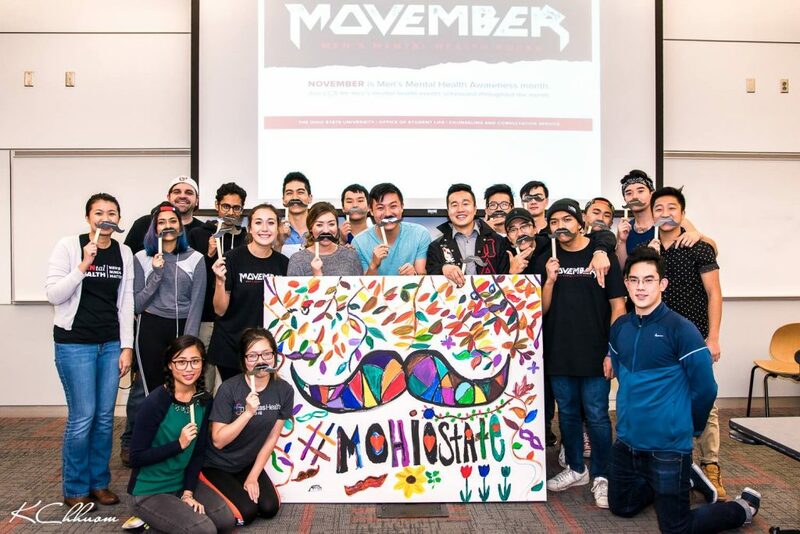 The Pan-Asian Mental Wellness Association and Pi Delta Psi Fraternity hosted a collaborative Men’s Mental Health event called “Are You Man Enough?” last fall. Where does this aspect of your personality fit in with your future goals? I’m very passionate about helping people who don’t have as many opportunities as I did growing up. In working with underprivileged communities, both domestically and abroad, I’ve encountered language barriers and seen the need for equal access. Showing that you understand where people are coming from – and not passing judgement – is so important. The people you remember are the ones you connect with, and that’s what I want to take with me when I become a doctor. You also mentioned traveling across the globe. Where are some places you’ve been? I spent six weeks in Spain last summer learning Spanish in non-conventional teaching styles. I tried to really immerse myself in the culture. As a Korean-American, I am in touch with my culture but am interested in viewing it in other ways. I grew up traveling, because we moved every three years as a military family. I was born in Korea and have lived in so many different places. Recently, I volunteered at a clinic in Peru working to bring healthcare access to small villages. American culture is so fixated on career, so I wanted to take a moment to think about strengthening relationships with cultures and people. What advice would you pass on to your fellow Buckeyes? Definitely be involved – don’t let it just be a checkbox. Be passionate in whatever you do, because passion carries you so far. Don’t get bogged down in the idea of “work” when passion can turn what you do into something you love. Posted by koewler.9 at 12:59pm March 6, 2018 Bookmark the permalink.